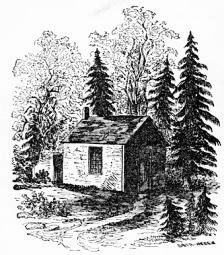 Tiny House Homestead: Did Henry David Thoreau Begin the Tiny House Movement? For those of you who have never read Walden, let me give you some background. Henry Thoreau came from an ordinary family, attended Harvard and earned ordinary grades, and later became an ordinary teacher. He was, well, ordinary. There was really nothing exceptional about Henry. In fact, many in the town where he lived thought he was quite a disappointment in terms of ambition and achievement. The only thing that Henry did of any consequence was to speak out against slavery every chance he had. Thoreau was an Transcendentalist who basically believed that the church corrupted our view and relationship with God, therefor the only way to really get to know God was to experience him, in nature, for ourselves. So now not only has Henry alienated the folks in the south, but now he has pissed off the Baptists as well, and the Catholics, and the Lutherans - well, you get the picture. "Turn on, tune in, drop out" would be a mantra that Thoreau would have supported. 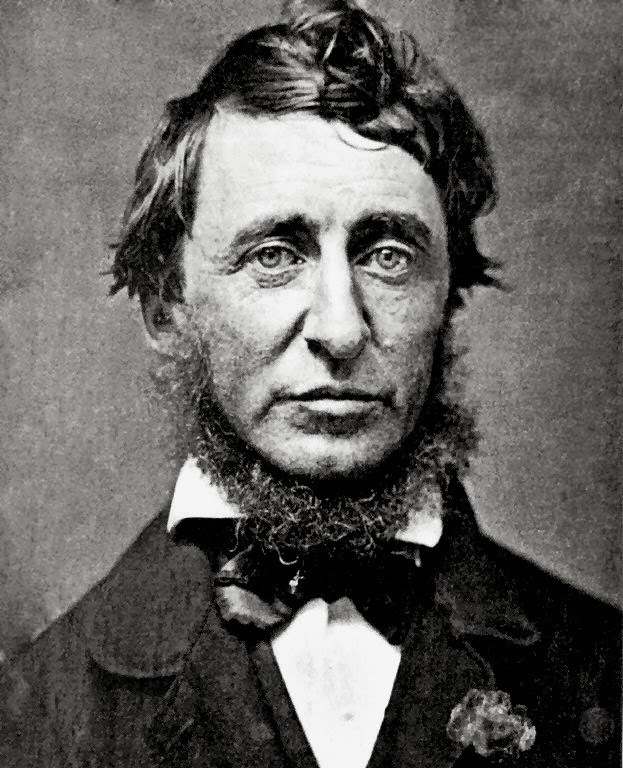 Thoreau, who died at my age, 44, of Tuberculosis, spent his life fighting what he considered an unjust government and the idea that others control our fate. He did his darnedest to put into words his thoughts on the subjects, but was not well known for his writing. In fact, his good friend Ralph Waldo Emerson, attempted to help him refine his craft, but was not exactly a fan of his writing either. It wasn't until about 50 years after Thoreau's death that folks began to recognize the value of his writings. 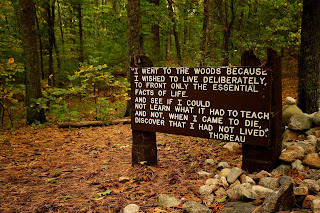 As I began re-reading his work, Walden, I was struck by how similar the issues of Thoreau's time are to ours. His arguments and observations, about our lifestyles of "keeping up with the Jones'" and of a society driven by consumerism, could be quoted as having been written just last year, not 159 years ago as Walden was originally published in 1854. At that time Thoreau had concerns that man was living to work instead of working to live and he viewed houses, specifically middle and upper class houses, as a type of prison. A prison of man's own making. In the savage state every family owns a shelter as good as the best, and sufficient for its coarser and simpler wants; but I think that I speak within bounds when I say that, though the birds of the air have their nests, and the foxes their holes, and the savages their wigwams, in modern civilized society not more than one half the families own a shelter. In the large towns and cities, where civilization especially prevails, the number of those who own a shelter is a very small fraction of the whole. The rest pay an annual tax for this outside garment ... which would buy a village of Indian wigwams, but now helps to keep them poor as long as they live. I do not mean to insist here on the disadvantage of hiring (aka renting) compared with owning, but it is evident that the savage owns his shelter because it costs so little, while the civilized man hires his commonly because he cannot afford to own it; nor can he, in the long run, any better afford to hire. The rents too damn high. The cost of home ownership is too damn high. Plain and simple. It was true back then and it is still true today. The housing crisis drove this home and drove many out of their homes. Now that the market is back on the upswing, I would love to see more folks explore the benefits of a tiny house. 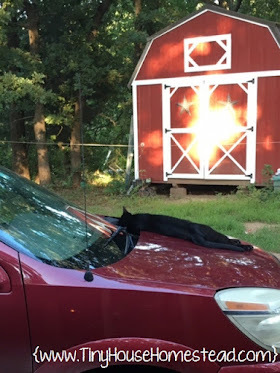 Because, like Thoreau, I agree that you don't have to have the largest or fanciest of homes, just the most comfortable one that meets your needs. If you should pick up a copy of Walden, compare the chapter Economy to the philosophy of Tiny House pioneer Jay Shaffer and proponent Dee Williams.You will find that the tiny house movement shares much of the reasoning and ideas that propelled Thoreau to go to Walden Pond for his 2 year, 2 month, and 2 day "experiment." I really believe that Thoreau was the first to propose the tiny house movement. I will be writing a series of commentaries comparing Thoreau's ideas with the common ideas shared in the tiny house movement over the next few weeks. 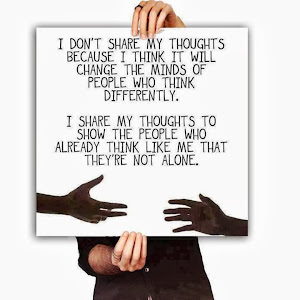 I welcome your thoughts, input, comments, and ideas with regards to their similarities and differences. I'm just reading it now too. This will be the first time for me although I've started it a few times. Now I'll have to read it so I can follow your future comparison notes. Hope you are feeling better! Thank you for your well-wishes, Mike. I am feeling better. I had read Walden before too, but this time I seem to be able to connect so much more with what he was trying to express. I am really looking forward to blogging about it and its relationship to the current Tiny House movement as I read it again. I even found my old copy of Cliff's Notes ;) Ahhhh, the college days just come flooding back. Loving all the progress on your place! You are an inspiration!